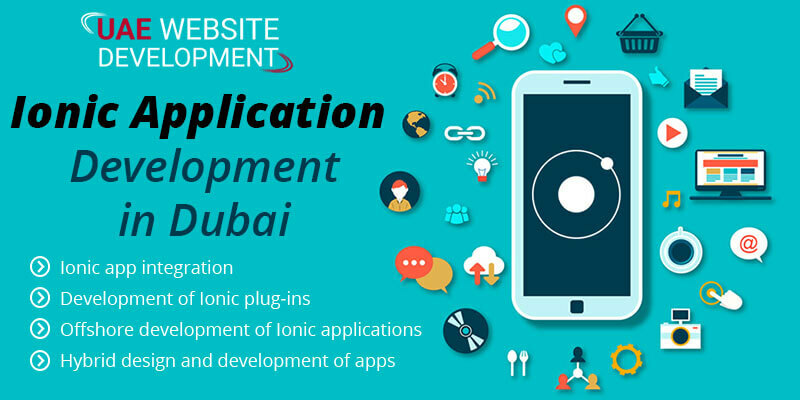 Enhance your Web Applications with Effective Ionic Application Development in Dubai: Connect with the Experts Today! Ionic is one of the best platforms for hybrid mobile application development. It primarily organizes the look and designs of the applications. This also throws light on the user interface interactions to attract the users. Interestingly, the Ionic application development comprises user interface layouts and essentials for creative designs. Thus, it offers to create their own unique designs and styles for the applications. With mobile application getting innovative makeovers, it is extremely important for mobile app developers to have an excellent team for Ionic app development. The Ionic framework also reduces the consumption of time along with resources and efforts. Moreover, with the help of Ionic, it becomes easier to offer a unified look to your applications. If you are thinking of hiring a team for Ionic application development in Dubai, then connect with our experts at the earliest. It is basically an open source framework. You will be exposed to numerous pre-developed app setups that will provide you with a layout for developing applications faster. The Ionic platform has an inbuilt integration with Cordova and PhoneGap. This collaboration helps in compiling codes to mobile applications. It also offers an independent iOS and Android platform that allows the development of apps using a single codebase. By utilizing this framework, several device resolution problems can be easily solved. What makes Us your Ultimate Choice? We have dedicated and skilled developers who are working round the clock to ensure the progress of your application. Our team trains the developers at regular intervals so that are aware of the modern technologies and can deliver better services to our clients. We have the ability to develop a wide technological portfolio for the clients so that they can elevate their applications. We offer 24X7 assistance to our clients. Thus, they can contact us at any odd hour of the day. We will make sure they are satisfied. Our Ionic development team comprises experienced and efficient developers who are meeting their ends to provide you with the best strategies. The major goal for employing Ionic framework is to reduce the dependence on other platforms. It helps to incorporate a hassle-free experience on all the devices. Our team is well accustomed to working on difficult and challenging projects. Have a look at the services we offer. Hurry and connect with us soon to get the best of Ionic application development services. Place us a call at our helpline number:042053349 and get in touch with our experts. In addition, you can also use the Live Chat portal to chat with our techies and get instant solutions online. Alternatively, you can also email us stating your requirements. We will get back to you as soon as we receive the service request. Communicate with us and get connected with the most affordable Ionic application development strategies.